PLUS Seller Form In order to sell items through the Camberwell Grammar School PreLoved Uniform Shop you must complete the following. Please print clearly. I understand that items sold on my behalf at the Camberwell Grammar School PLUS are not held indefinitely, and if after a period of time, as deemed reasonable, the items are not sold they will be donated to charity. Furthermore, the PLUS cannot accept any responsibility for items that get damaged while being held at the shop although all care will be taken. Any damaged items will be donated to charity. I understand that items must be of a certain quality to be sold through the PLUS and if items are deemed to be of an unacceptable quality, they will be donated to charity. I understand that it is my responsibility to notify the PLUS of any change of address and other contact details. 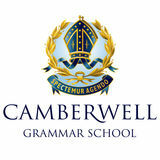 I understand that 25% of the proceeds of the sale will be retained by the Camberwell Grammar PLUS.